Meet Allen Gannett. CEO and founder of TrackMaven, a marketing analytics software platform that helps marketers, like yourself, take a deep breath and easily prove your marketing ROI across every channel. If you’re like most marketing professionals, you can definitely relate to justifying your marketing game. TrackMaven gives you a leg up - they take care of the dirty work and make you, the marketer, look like a rockstar. Not only is Allen a CEO and founder, but he can now add author to his list of accomplishments. 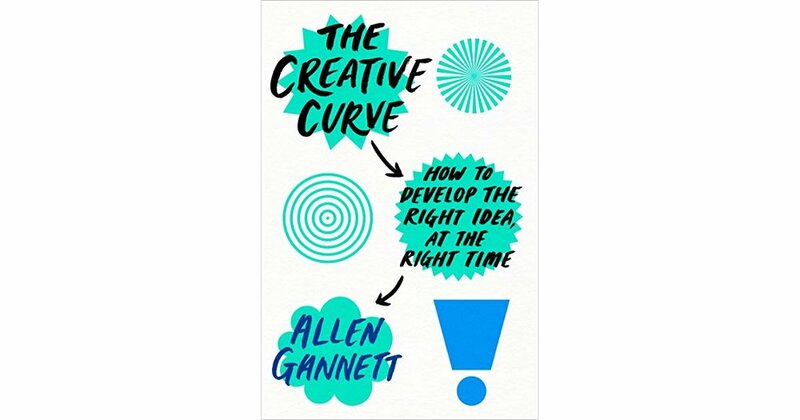 The launch of his new book, The Creative Curve, debuted last week and reveals the science behind achieving creative success in any field. You’d be surprised to hear that yes, even if you can only manage to doodle up a sub-par stick figure - you still can teach yourself to be a so-called creative. We recently got the opportunity to sit down with Allen and chat about his new book, gain some valuable marketing advice (including a little pep talk), and get to know what’s next for the marketing maven. Q: You're the founder of a marketing analytics company and now an author of a book about the creative process. How have you bridged the two seemingly different categories? Allen: I think both are more similar than people realize. Being a good leader is all about listening, and so is being a good author. Over the course of my research, I spoke to dozens of living creative geniuses to try to uncover the secrets behind their creative success. I knew going into these interviews a lot of the questions I wanted to ask, but a lot of the time the most interesting moments of the conversation were spontaneous and unexpected. If I had just kept my nose in my notes and hadn’t made flexible listening a priority, a lot of those interesting interactions wouldn’t have happened. I think more leaders need to practice flexible listening. When you let the other person drive the conversation, and you spend your energy listening attentively, you’re bound to learn something interesting. I feel like the process of researching and writing this book has helped me become a better listener, and that has hopefully made me a better, and more attentive, leader. Q: What's one piece of advice you'd give a fellow marketing professional? A: Creativity is a muscle. If you want to be able to rely on your creativity, you’re going to need to train it. If you make physical exercise a priority, almost anyone can work their way up to doing half a hundred pushups. Similarly, if you make mental training a priority, you’ll be able to execute feats of creative strength that once seemed far beyond your reach. Q: On a scale from “not at all” to “table stakes”, how important is it for established companies to invest in creativity as a discipline? A: Creativity is, in my opinion, one of the most important things that an established company can invest in. One of the major storylines of the internet era is the reduction or obliteration of barriers for participation in business. 50 years ago, if you wanted to design and sell a t-shirt, you’d have to find a factory willing to print a small batch of shirts, source the material, and establish a distribution system. Now, all that can be accomplished in an afternoon by visiting CustomInk and setting up an Amazon seller account. Anyone with an internet connection and some investment capital can buy in to an industry. That means that established companies can’t use logistical or institutional barriers as a defense against upstarts as they once could. So, they need a new way to stay competitive. And, in my mind, that is creativity. Q: What was the biggest surprise or most unexpected learning you had when writing this book? A: I spoke to a ton of leading academics who study creativity, and I was surprised how almost across the board they believe that the concept of “inborn creative genius” is, at best, oversold and, at worst, completely untrue. In popular culture, there’s pretty broad consensus that creativity is this mystical, indecipherable force that some people are naturally blessed with. We pretend that we have no idea where creative insight comes from, or how to make it come more often. But the academics know that’s not true! They’re standing in college lecture halls and laboratories jumping up and down shouting that creativity is a learnable, developable process. They have the data to prove it. I think we should start listening to them. Q: What's your pre-game pep talk to marketers who might be working in perceived "boring" categories. What would you say to get them excited about breaking through? A: Hey! Coach Gannett here. You should be thrilled! You’re working in an area of marketing that has huge creative upside. “Boring” just means that other people haven’t done much to break out of the mold. If you can find a new spin or engaging angle, you’ll blast to the front of that lackluster pack. If you’re working in an industry, market, or office where creativity is in short supply, recognize that you’re smack in the middle of a fantastic opportunity. It’s economics 101: scarcity increases value. If you can be the creative oasis in a desert of boring, you’ll attract customers, praise, and promotions like you never thought possible. Q: Now that your book is finished, what's next for you? A: I'm just busy at TrackMaven. So now that I’m done book writing, I’ll probably be spending less weekend time in coffee shops furiously tapping at my keyboard, so hopefully being a better friend. Also, I have a corgi at home named Maven who hasn’t gotten nearly enough belly rubs over the past few months. So I’ll need to make that a priority. Want to get your hands on a copy of The Creative Curve? Be sure to check out our upcoming event on June 28th featuring Allen at Avidxchange.